This level have normal candies and again need striped candy or colorbomb with striped candy to break jellies on bottom part of the board. For this level first you should try to make colorbomb and then combine with striped candy. 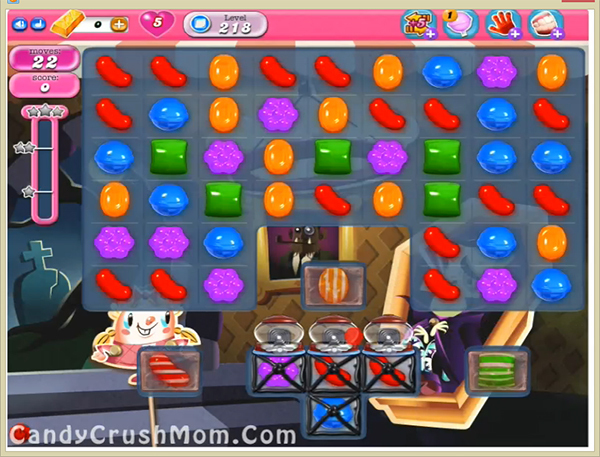 After use striped candy to break remaining jellies or break striped candy that you already got with this level. We completed this level with 19040 score using colorbomb combos plus other striped candy that help to end this level easily.